Physicians have mixed opinions about leveraging social media use in their practices, according to a new infographic by MedData Group. 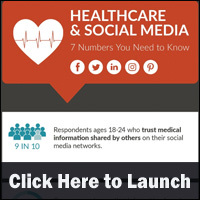 The infographic looks at the top two social media channels that physicians use, the top five physician specialties that engage in online physician communities and the top concerns preventing physicians from using social media for professional reasons. The growth of social networking has been dramatic, and the applications are quickly finding their way into healthcare organizations. 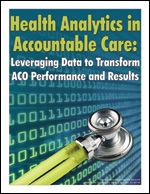 This expanded best-seller provides an overview of the social media tools healthcare organizations are using to connect, communicate, and collaborate with their patients, physicians, staff, vendors, media, and the community at large.